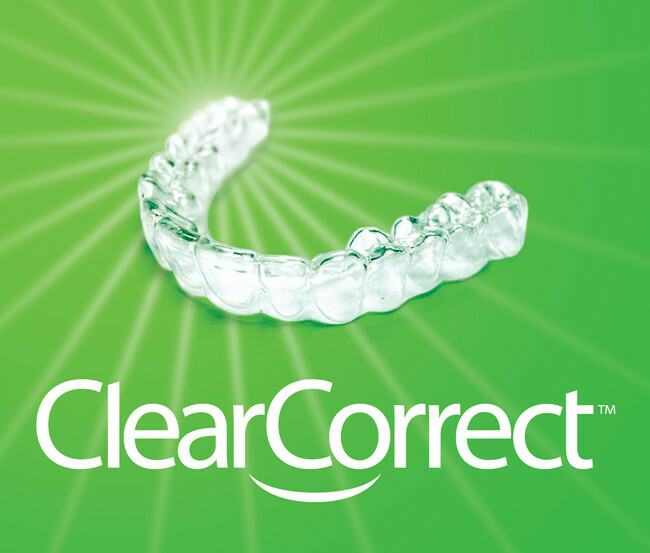 ClearCorrect™ is an innovative orthodontic solution to straighten your teeth in a more discreet and effective way when compared to traditional techniques. These clear, customized, removable teeth aligners can give you a beautiful smile without the discomfort associated with wires and brackets from metal braces. Our experienced cosmetic dentists at Presutti, Derosa, and Booth Family Dentistry offers this system of virtually invisible aligners to help improve the look and functionality of your teeth with long-lasting results. During your initial consultation with with our dentist they will discuss all aspects of ClearCorrect™ treatment and answer any questions you may have. The ClearCorrect™ process involves wearing a series of customized, removable and virtually invisible aligners that gradually straighten your teeth. After you have been evaluated by our dentists and are determined to be a good candidate for ClearCorrect™, he will take impressions of your teeth and send them to the ClearCorrect™ labs. Custom aligners are then formulated from precise, 3D imaging technology to effectively move your teeth to the desired position progressively from week-to-week. Each set of clear aligners is typically worn for three weeks, with every set slightly different than the one before. The entire ClearCorrect™ process usually takes about one year (typically much less time than traditional braces). You will be able to remove the aligners for brushing, flossing, eating and drinking, but we recommends wearing the aligners as much as possible to accelerate the results.